Camera Surveying of pipework systems is required by every sector of industry today for many reasons. These include; Fault Diagnosis, Asset Evaluation, Pollutant Tracing, Infiltration Sourcing, Pipe Repairs and Relining amongst others. 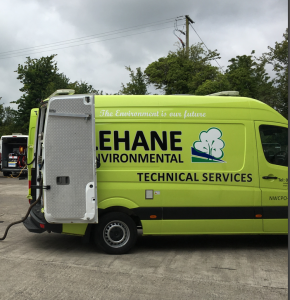 Lehane Environmental operates a number of survey vehicles which have modern CCTV Equipment to enable surveying of pipes with diameters from 40mm to Large Culverts. Our Survey Equipment offers Pan & Tilt Options which provide excellent examination of laterals and faults. Our Surveys include full reports to WRc Standard with Photographs and Digital Video Recordings provided on CD. 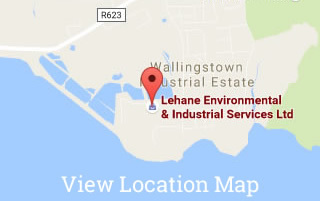 A significant volume of Lehane Environmental’s work is carried out in intrinsically safe areas of plants such as petrochemical, pharmaceutical, etc. 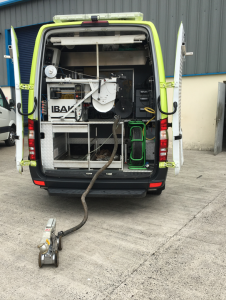 To enable the surveying of ducts and pipework systems in such areas, Lehane Environmental operates a range of ATEX (Explosion Proof) Equipment. As our Company is certified to OHSAS 18001 Standard you can rest assured that your project will be carried out to the highest standards of safety.